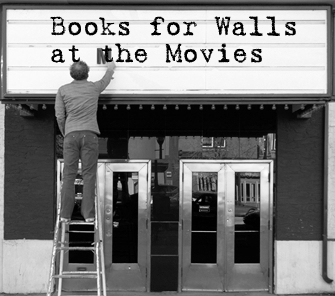 The Books for Walls Project: Is the Book Always Better Than the Movie? Last week we had some great movie suggestions (click here to read.) If you are looking for a movie to watch this weekend --start there! 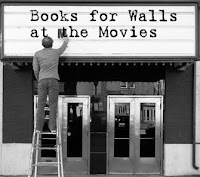 Add your favorite Book Inspired Movies. And tell us about those movies that were not as good as the book (I think we all know one of those!) Post in the comments below. The Teacher (we'll introduce you to her soon) aka jolynnbarrett suggested a "book finding quest" at The Bedtime Story Challenge --her favorite bedtime story Clotilde by Jack Kent is not in print anymore and not readily available. I will be on the lookout at library booksales for a copy! Victoria shared their new tradition of story-telling. Stop by and add your own favorite bedtime story. The Poll closes today, vote if you haven't already. We are working on the next poll... we'll share it soon! Have a great weekend --for Pizza Movie Night we are torn between The Young Victoria (we are reading We Two by Gillian Gill), A Midsummer Night's Dream (again!) and Anne of Green Gables. What are you watching? Exciting news, we'll be in the next edition of the Northern Express --watch for us on May 3rd! A fantastic book & movie is 'Stardust' by Neil Gaiman. Hope I spelled the author's last name correctly. Sure, the film changes a few things, but it does include the stuff about hunting for lightening and that in itself is awesome. Watch the movie or read the book when you have a chance.